Following along the course of the North Platte River in Wyoming, the traveling angler encounters one impoundment after another. Storied stretches of water none-the-less, but dam created and damn good to fish. As tailwaters the North Platte takes on glorious names like the Miracle Mile, but it is the stretch of river near the little town of Alcova that attracts the tactical angler ready to combat the largest fish in the river dubbed the Gray Reef. To clear some confusion you will find this section of the North Platte River referred to as the Grey Reef and the Gray Reef, however the Wyoming Game and Fish Department uses the “Gray” spelling so I will too. Fishing licenses in Wyoming cost $14.00 daily and $92.00 annually for Non-Residents. The Annual Non-resident fishing license does incur the cost of an additional Conservation Stamp at $12.50, whereas daily fishing licenses do not have the Conservation Stamp requirement. 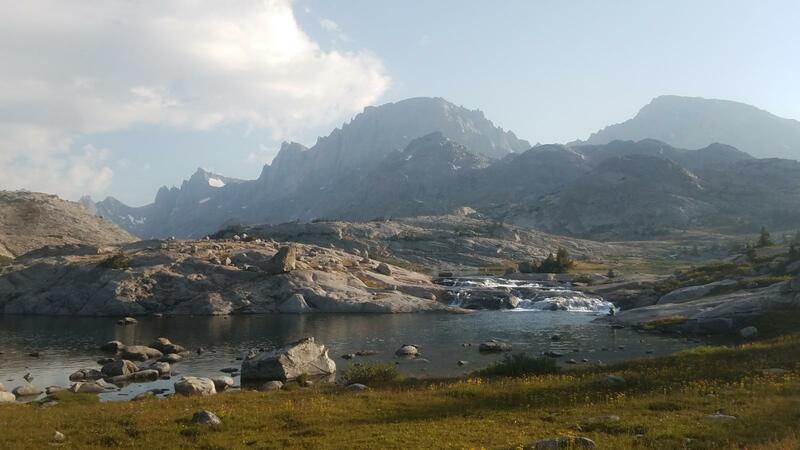 Wyoming has no tolerance for trespassing and the wading angler is responsible for knowing where to go. Numerous access points along the Gray Reef section of the North Platte River accommodate anglers on foot. Immediately below the Gray Reef Dam is great access to the tailwaters flowing from the dam. Blue Gulch, the Redds and Pete’s Draw make up the access points along this Bureau of Land Management area. 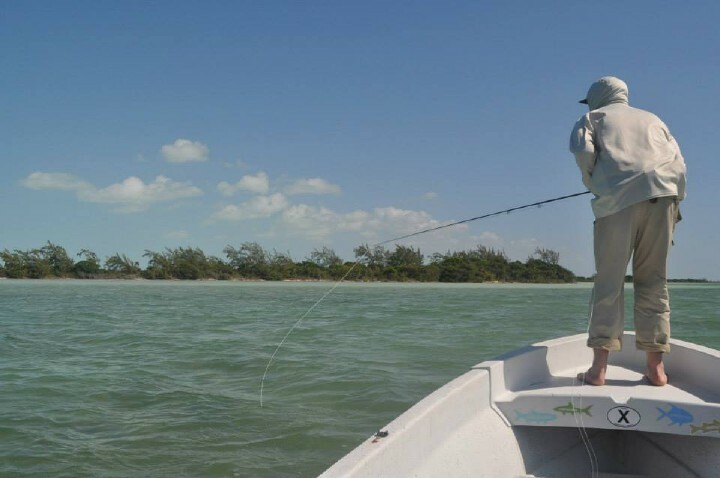 The wading angler will find the Gray Reef regularly rewards those anglers who wish to stay fishing from their feet. Effective choices for wading anglers in the springtime revolve around eggs, worms and small nymphs. As non-locomotive food sources, meaning they don’t actively swim, fish hold tight to the bottom structure waiting for high protein worms and eggs to come to them. Choosing flies that drift along the current lines and that flow with the river channel is a good choice for the wading fly fisher. Streamers are not the best choice for a foot-bound angler, as wading anglers do not cover enough water to make streamer fishing effective, however an egg bounced along the bottom of the river is easily managed by wader-clad anglers. Think about the speed of your drift from a stationary position, which fly is going to perform best in that situation. A streamer that requires movement is more effectively fished from a moving boat than a stationary point and an egg or worm drifting along slowly is more easily managed by an angler standing still. Once again the emphasis is placed on no trespassing along the Gray Reef float. A large majority of the float is within a private ranch so no anchoring, beaching or wading. However it is within those far reaching hard to achieve angling locations where huge rainbows lurk and reward the floating angler with the fish of a lifetime. The float from the Gray Reef Dam to Lusby covers 8.4 miles of water. This float usually takes around four hours depending on the amount of fishing time you put in during the float. An additional float from Lusby to Government Bridge adds 4.5 more river miles to the float. With any luck you will need to spend a few minutes taking some photos. As always in Wyoming the wind will blow so adjusting float times for the wind is often necessary. Spring is a time when fly anglers emerge from their man caves to test their winter-dulled skills against the giants of the North Platte. The Gray Reef section truly holds the fish of a lifetime for most anglers and they never have to leave the lower Forty-eight to catch it. Rainbows, Browns and Cutts of enormous proportions distend in the nutrient rich tailwaters and not just trout. The Gray Reef holds walleyes of trophy proportions too. Spawn is actively happening in the Spring and anglers routinely target the hoard of feeding fish located below the active redds. Actively casting to the spawners occupying their bed is looked down upon so take care while drifting to place your cast into the area downstream from the redds. Fly anglers targeting the Gray Reef in Spring will want to carry the typical tailwater flies however the prevalence of what some refer to as rock worms as well as high concentrations of annelids in the watershed makes heavy red wire wrapped hooks a go to when rigging up. Not a fly of high regard by some anglers (they really are quite ugly and unsophisticated) either is a San Juan worm but they do catch fish especially when bounced along the bottom of the riverbed. Loading up on flies before arriving in Wyoming is a good plan as flies are tight commodities once you get to the Reef and cost a lot or are often out of stock. 5wt rods with reels that have smooth, easily adjustable drags are a necessity to turn and land the giants that inhabit the Reef. 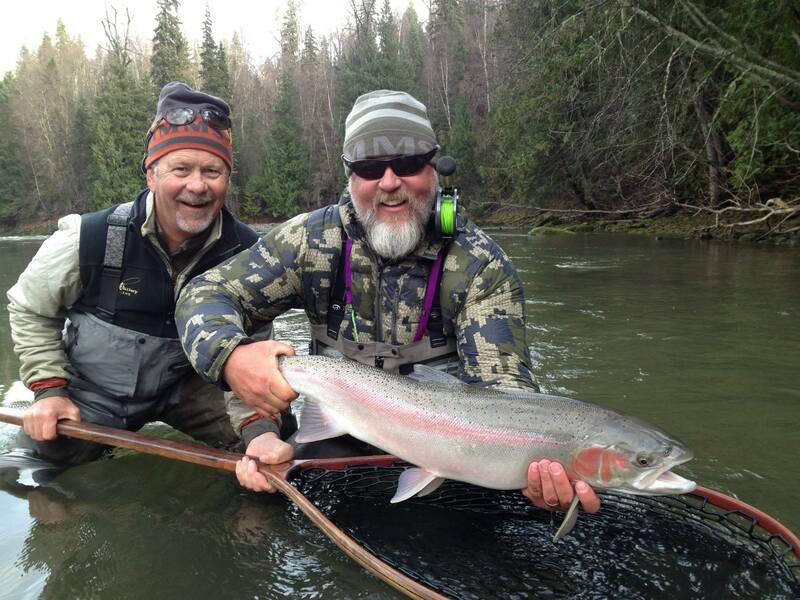 6wt rods are a great asset when tossing streamers or mice patterns. Vail Valley Anglers stocks a large selection of rods for hands on casting practice when choosing a new 5wt or 6wt rod for a Gray Reef trip. Using large flies along the Gray Reef is a great way to hook into the fish of a lifetime because the truly big fish are looking to eat a piece of meat. Quite frankly the huge fish along the Reef need to eat big food to maintain size and regain energy after spawn. During the spawn huge fish loose their wariness and actively feed on the high protein, easy to eat eggs and whatever else is caught up in the spate. When it comes down to the terminal end of your rig there is no need for the 6X tippet spool on your vest. 3X is the norm as the water often has some degree of color mixed in, especially in the spring. Save your Fluorocarbon for the educated trout on the Fryingpan River and other tailwaters. Vail Valley Anglers provides a large selection of leaders and tippet to outfit your Gray Reef expedition. The Wyoming scenery is at its best along the Gray Reef with wandering antelope, iconic western vistas and giant fish you won’t soon forget. Whether dry fly fishing to pods of rising fish along mid-river current seams, nymphing the large, deep river pools or perhaps the most exciting way to offer your fly by casting streamers, the fish of a lifetime is waiting for you just outside the town of Casper, Wyoming. Contact Vail Valley Anglers for all of your traveling angler necessities and the professional advice to make your Gray Reef trip a success.